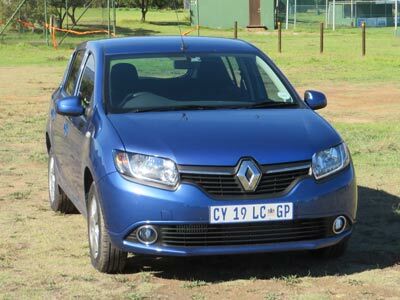 The new Renault Sandero should be the car that really puts Renault on the map in South Africa. It should sell in droves. It is good looking, handles nicely, is guaranteed for 5 years and is very affordable. 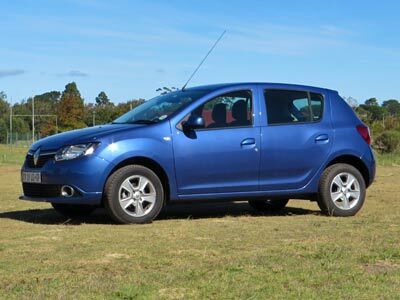 The Sandero is a budget small family car with a generous boot. In Dynamique guise it has all the bells and whistles and is really good value for money. All new Sanderos come with a full suite of electronic safety aids, even hill start assist, front airbags and ISO childseat anchors. They also all have central locking, electric front windows, radio fingertip controls, Bluetooth and power steering. The top model of the new Sandero adds airconditioning, cruise control, onboard computer, rear electric windows, 2 more airbags and foglamps. In a nutshell, the new Sandero is well equipped. I found the seats comfortable. The fabric looks and feels good and appears to be durable. The interior is functional, smart and seems well put together. Five adults can fit in, if for shortish distances. It also has a large boot. 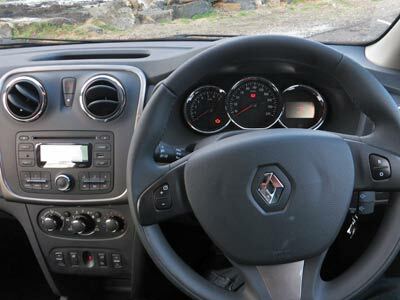 The multi-function steering wheel feels good and the steering is good for its class and actually gives you feedback. The engine is a new generation turbo petrol delivering 66kW and 135Nm of torque. Do not worry that it is a 3 cylinder 900cc unit. It has a very low inertia turbo combined with Variable Valve Timing which results in exceptional performance. All the manufacturers are going in this direction. It felt more powerful to me than a typical German 1.2 turbodiesel engine. I found it to be willing and well suited to the Sandero. Handling and roadholding is good and at least matches its competition. It is based on the same platform as the fourth generation Clio so inherits the good road manners of its sibling. 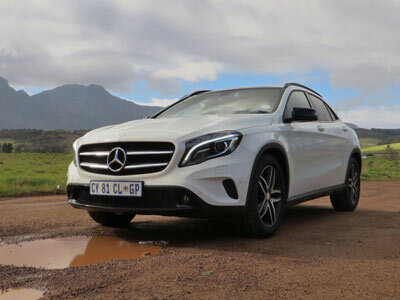 The first three gears are quite close, giving you lots of grunt when you need it, but the last two are designed for the open road and good economy. Renault claims a mixed cycle fuel consumption of 5.2 litre per 100km. This is very optimistic. Expect between 6 and 7 l/100km. Top speed is 175km/h and you will get to 100km/h in just over 11 seconds. I think the new Sandero has shifted the goalposts in the affordable small car market. 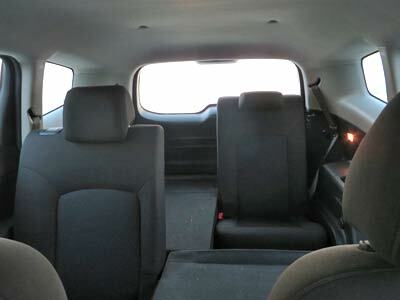 It is a very good affordable small car with space to seat 4 adults in comfort. You get a lot of car for your money. It should make a good business car, especially considering the five year warranty. Price as tested: R141 500. The base model Expression is R123 900 (R133 900 with aircon). Warranty is a very good 5 years or 150 000 and the service plan is for 2 years or 30 000km. Also look at the Toyota Etios, Volkswagen Polo Vivo and Ford Figo. 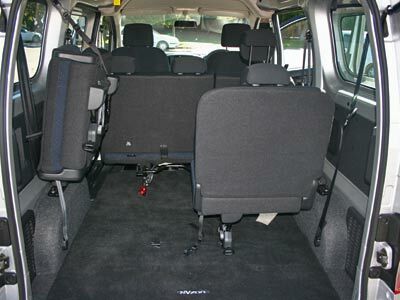 The Nissan NV200 is an exceptionally practical vehicle, especially in diesel guise. Whether as a panel van or a microbus, the VN200 is compelling. We tested the petrol version. The 200 range of Nissan commercial vehicles comprising of the bakkies, NP200, and the vans, NV200, are the most complete and possibly best value range in South Africa. While the bakkies completely dominate their segment, the vans still have to catch up to the more established VW Caddy range. Internationally the NV200 is becoming the dominant small bus. It has been selected as the taxi of choice in both New York and London. A hybrid and an electric model are on the way. You will have to search far and wide to find a better vehicle to use as a taxi or small shuttle. It has the biggest ‘boot’ space of all the small busses at 340dm ³ and the best access. I immediately liked the vehicle. It does everything smoothly and effortlessly. The NV200 is easy to drive. The combination of relative light weight, peppy engine, light steering and smooth gearbox contribute to car like handling. It is really pleasant to travel in. This little van from Nissan is the class leader by quite a margin. It goes well, handles well and has loads of space. This is the second NV200 I have tested. I am almost more impressed this time round. It delivers so much more than it promises looking at it from a distance. The interior has been well designed and is practical, comfortable and appears to be durable. Standard equipment include multi-function steering wheel, aircon, radio/CD with aux and USB inputs, Bluetooth for audio streaming and hands-free cellphone, powered external mirrors and windows, front fog lights, loads of storage compartments and a full spare wheel. 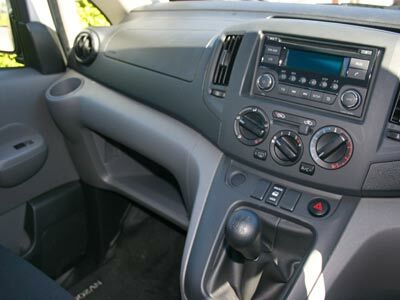 This van has very generous space considering its compact dimensions, with 4.2 cubic metres of volume in the rear and a 739kg payload, space for two Europallets, while loads up to 1.36 metres in height can be carried. A big plus are the sliding doors on both sides. Very practical. The 1.5dCi diesel produces good torque and delivers superb fuel economy of around 5.5 to 6 litres per 100km. The 1.6i petrol has more power but expect fuel consumption around 8 l/100km. Expect to see many of these combis and vans on our roads soon. 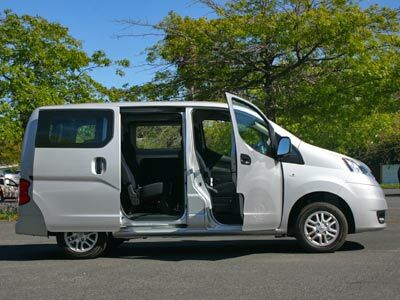 Whether you are looking for a small bus/ 7 seater or a smaller van the NV200 has to be on your shopping list. Also consider the VW Caddy, Toyota Avanza, the slightly smaller Honda Mobilio and even the Suzuki Ertiga. Other vans to look at are the Fiat Doblo and Renault Kangoo. The diesel van costs R245 900, petrol R221 900, the diesel Combi or bus R303 900, petrol R277 900. Warranty is 3 years or 100 00km, service intervals are 15 000km. GM’s smaller multi purpose vehicle, the Orlando manages to be a little van, 7 seater bus and car all in one. And all in a neat, versatile package. It would make a great taxi. Think of it as an upmarket Avanza. It is slightly wider and longer than the Avanza and feels much more solid. In SA we only get only one model. But GM has chosen it well. It is a 1.8 petrol manual with standard but good hard working trim and a good specification level. 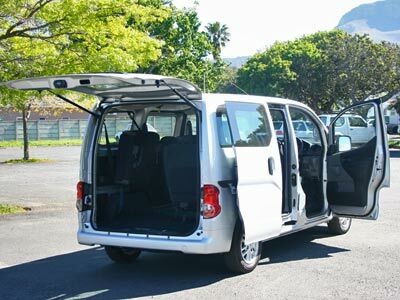 The vehicle has 16 different seating combinations, meaning you really can fit seven adults into the Orlando or when in van mode, a driver and a jumbo load. Passengers will find the inside of the Orlando is surprisingly roomy with more than enough leg- and headroom. Access to the third row is OK, but headroom a little limited. Load volume at the back is between 100 and 800 litres depending on how you have folded the seats. Fold down the rear seats and you’ve got a 1499 litre load space.The cabin feels like a car, with neat finishes and a plethora of map pockets, armrests with cup holder, and quite a few nooks and crannies to keep things in. Power windows for driver and front passenger are standard as is a good sound system, cruise control and power steering. The interior is upmarket compared to the cheaper Avanza and is pleasantly finished reminding one of the Cruze, its sedan sibling. The Orlando does not lack safety and security systems. It comes with anti theft alarm and immobiliser. An ‘Electronic Stability Control’ system provides traction control to help avert slides, by automatically applying corrective braking to appropriate wheels to help you quickly regain control. It also has ABS and electronic brake distribution with an additional brake assist system. Driving the Orlando is easy and pleasant. All round visibility is surprisingly good and it handles well in the context of an MPV. Road holding is above par for this category. The Cruze roots shine through. 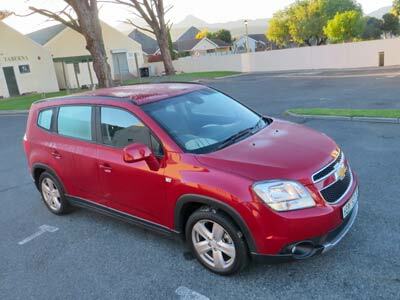 GM claims 7.2l/100km but work on 8 in general and around 6 on the open road, which is very acceptable. Priced from R287 000 you get real value for money. The Warranty & Roadside Assistance package is 5 years/120 000km. The Service Plan is for 3 years /60 000km. Also look at the Toyota Avanza 1.3 from R190 000, Suzuki Ertiga 1.4 starting at around R160 000, VW Caddy 1.6 from R190 000 or the Nissan NV200 1.6 Combi R254 800. First published in Small Business Connect. The original Stepway was the best-selling model in the previous Sandrero range as its raised ride height, adventure aura and value proposition made it the most desirable model. I predict the same is going to happen with these new cars. Renault have a winner, and we as consumers also get to win. A good car, great features and excellent price. 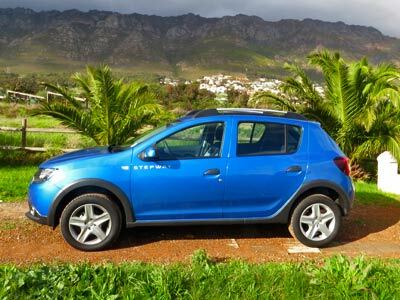 The Sandero Stepway is an affordable yet classy small car with a tougher than usual stance, more ride height, pleasant handling and well equipped interior with fair space and good finish . It is great value for money and surprises with its comprehensive levels of equipment and good handling for a slightly tall car. 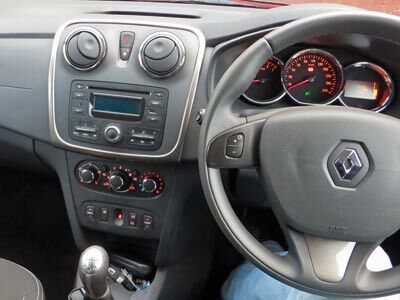 The interior of the Sandero is very practical and comes with electric windows, air-conditioning, sound system, finger tip controls, Bluetooth, cruise control and central locking. A nice touch is the chunky leather clad steering wheel and gear knob. A major step up from the previous generation. 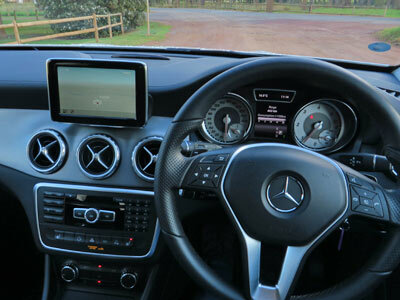 The cabin is much more upmarket than the original model. It also appears to be well put together. The cloth covered seats look great and are comfortable over normal distances. The back seats fold down in a 60/40 split while the boot offers luggage capacity of 292 litres. The new cutting edge three-cylinder 1-litre turbo beats the 1.6-litre engine used in the previous Stepway in every way – power, fuel consumption and performance. This is the future. Together with Ford’s amazing little three cylinder these engines show the way forward. Acceleration is better than average for B segment cars and fuel consumption much less than average at around 6 litre/100km. A win-win situation. 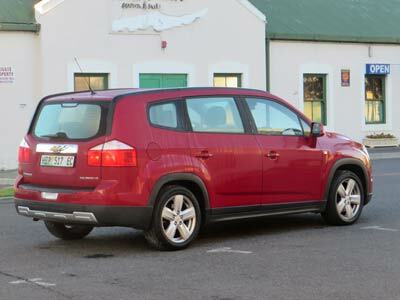 The Stepway has all the required safety features from the basics such as Emergency Brake Assist, anti-lock braking system, electronic brake-force distribution and electronic stability programme to hill start assist and rear parking sensors. 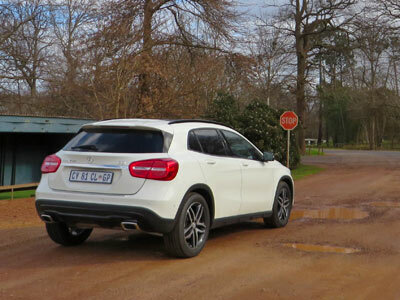 The Stepway will make an excellent little workhorse that will be equally at home on gravel roads as in town. I enjoyed the week I spent driving it. There was always enough power and it is big enough to sit properly on the road. Renault have done well with this one. 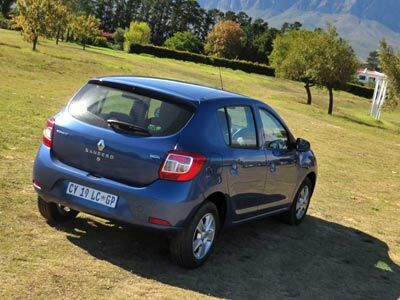 The Stepway costs around R15 000 more than the standard Sandero. You get extra ground clearance (29mm), roof rails, skid panels, styling differences, 16” wheels and rear parking sensors. You also get a better looking car, in my opinion. Alternatives include the Ford Ecoboost, Renault’s own Duster, VW VivoMaxx and the Toyota Etios Cross; all (except the Etios) substantially more expensive. 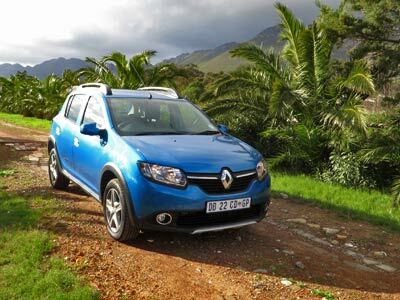 The Renault Sandero Stepway costs R159 900, that’s not much of a premium over the Sandero Dynamique at R141 500. The Stepway comes with an excellent five-year or 150 000km warranty and a two-year or 30 000km service plan. Kia’s lead designer Peter Schreyer and his team have changed the face of Kia. Not only has the face changed though, everything has been upgraded. The Kia Sportage is the small SUV or station wagon in the model range and it is not only versatile but seems to be just the right size. Big enough for four adults and their kit, small enough to manoeuvre in town. 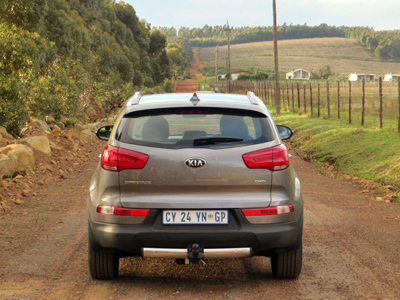 The facelifted Sportage is more refined than the model it has been developed from and has been tweaked where it counts. The interior is very good and has been significantly upgraded. A lot of thought has gone into it. From the leather clad multi-function steering wheel to the multi-adjustable powered leather driver’s seat everything feels just right. The armrest between the seats hides a cubby hole, one of many storage bins. Needless to say the car is very well equipped with amongst others a high end sound system, climate control, electric windows, cooling glove box, auto light control and multi-function trip computer. The cabin and boot are both spacious. The boot has a false floor which is useful for keeping small things out of site. The built-in rear-view camera and RPAS (Rear Parking Assist System) works very well and the touch screen is a nice, er… touch. Safety equipment includes downhill brake control, EBD, ABS, electronic stability control, hill start assist, airbags front, side and curtain and iso-fix baby seats. I really enjoyed driving the Sportage. Acceleration is good and I found the road holding above average for a tall car. This car will be easy to live with. 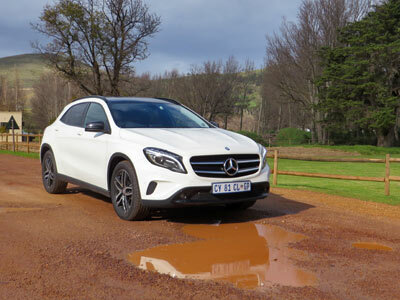 Expect fuel consumption of around 7 litres/100km for the diesel and a litre more for the petrol models. The ride is a little stiff, a bit like the Audi Q3, but it is not unpleasant. The very comfortable seats mollycoddle you in any case. 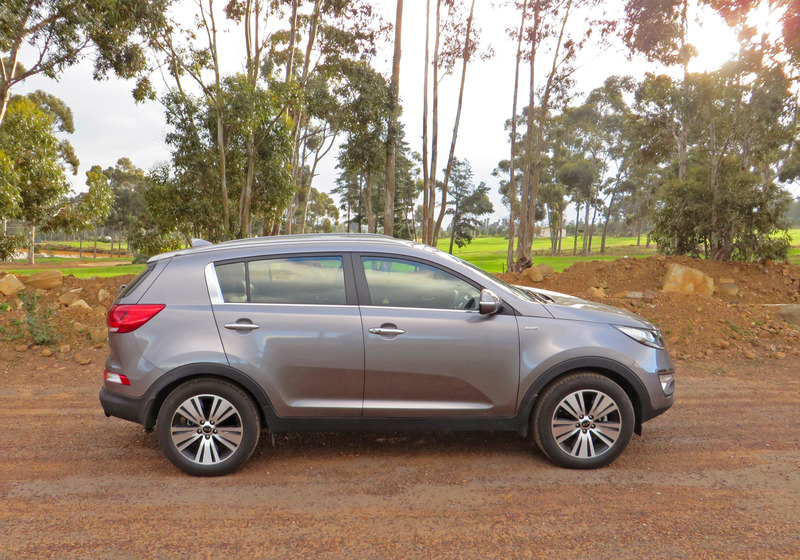 Kia has got it right with the Sportage range. No longer cheap, but solid build quality and good prices. The five year warranty says something about the quality. The dimensions are just right, inside and outside. 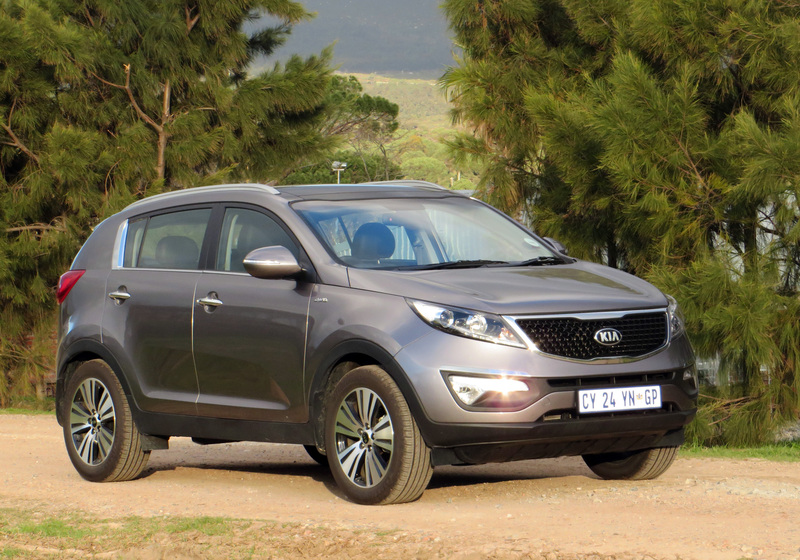 The Sportage is practical, good value and smart. 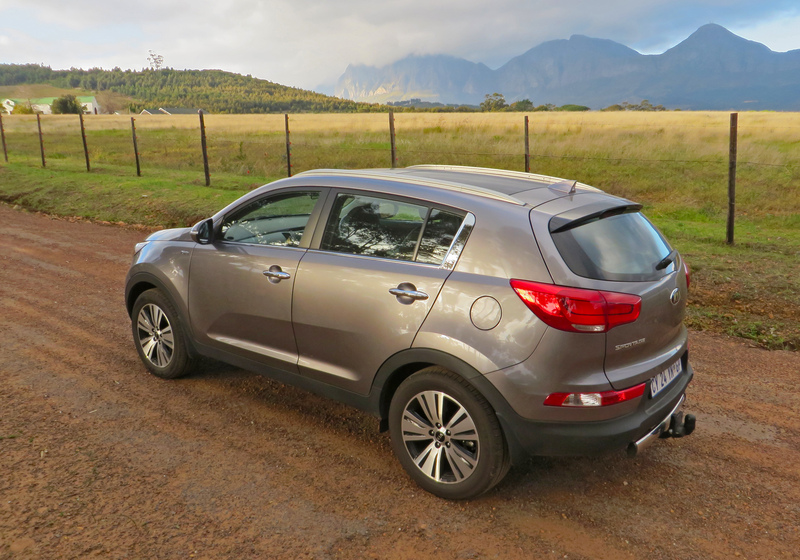 The Sportage range has 9 models from the 2.0 Ignite (petrol) at R321 995 to the 2.0 CRDi (diesel) AWD auto at R425 995. We tested the latter. If you don’t need AWD we recommend the 2.0 auto at R360 995. Also look at the Nissan Qashqai (new model any day now), Ford Kuga (new model), Honda CRV, Toyota RAV and Hyundai ix35. The Sportage comes with a very good five year, 150 000km warranty and 5 year or 100 000km service plan. The women of South Africa have voted and Women on Wheels (WOW) is proud to announce the winners of the 2014 WOW Women’s Car of the Year Awards (#WOWCOTY). Over 10 000 votes were cast by WOW readers and combined with the judges’ votes to decide the winning cars in 11 categories.